Carved leaf, floral and scroll details of the Corinthian Moulding makes this the perfect adornment for many different styles of décor. The intricate scroll carvings of the 48″ Corinthian Decorative Flat Wood Moulding resemble beautiful Fleur de Lis. 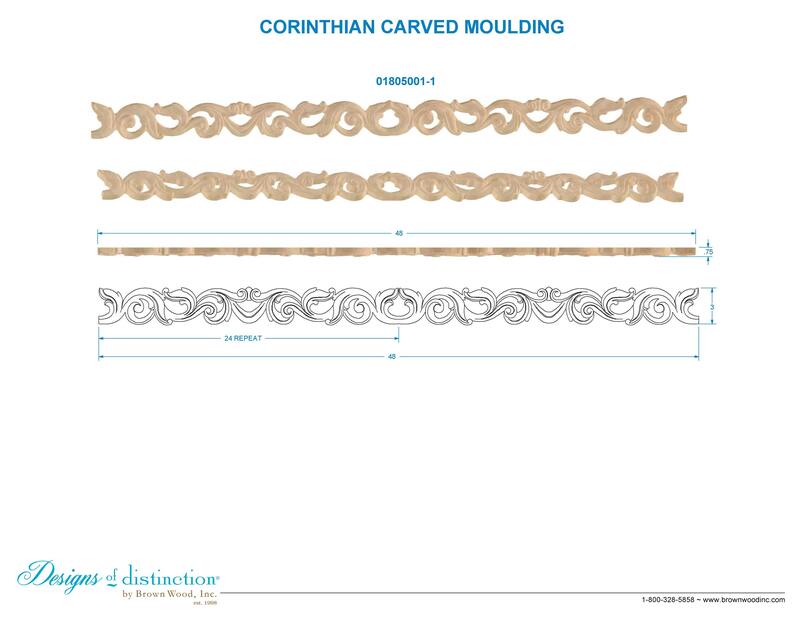 Available in Cherry and Hard Maple, The 48″ Corinthian Decorative Moulding will provide an elegant centerpiece to any surface.